Christmas time is coming, so it's about time to do some Christmas cards. 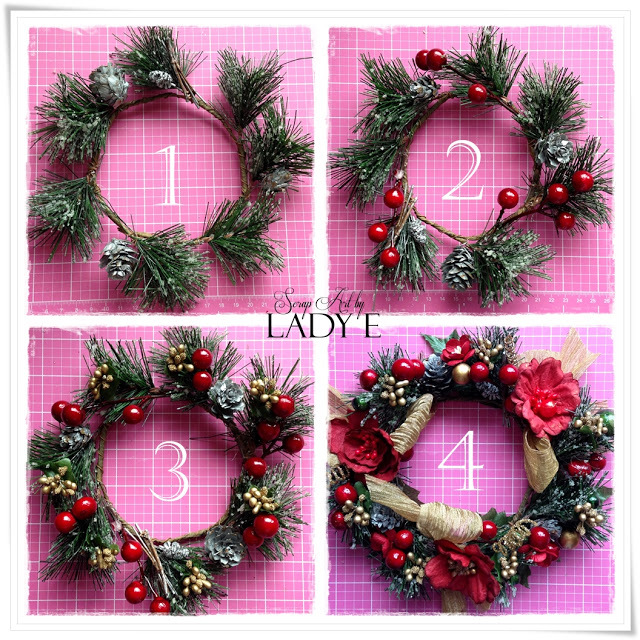 They are the best way to send warm Christmas wishes to somebody who you love. 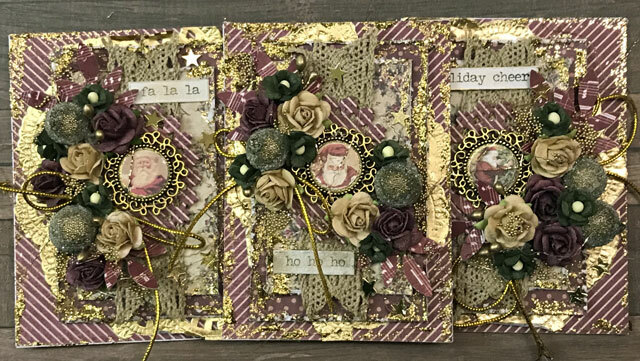 Our designer Klaudia decorated cards using beautiful WOC flowers and embellishments. She decided to use classic red and green Pretty Flori flowers and Red Bead Berry Spray Clusters. 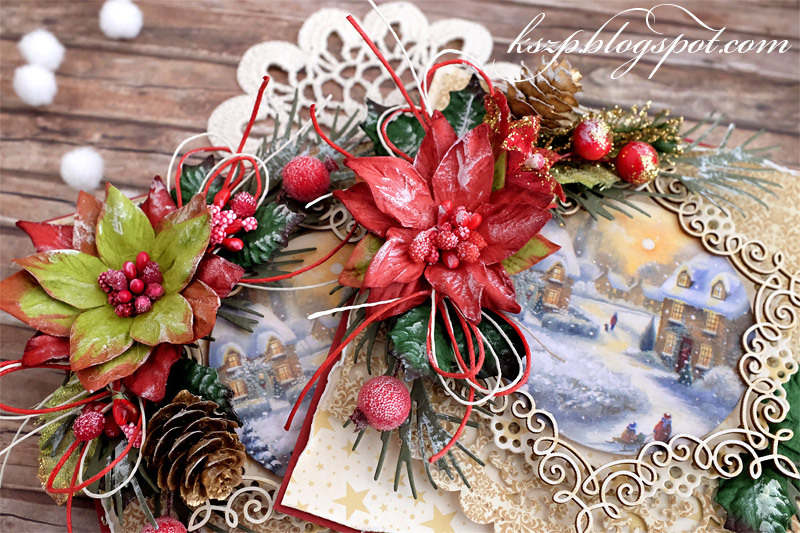 The card in gold, white and red tones looks warm, bright and festive. 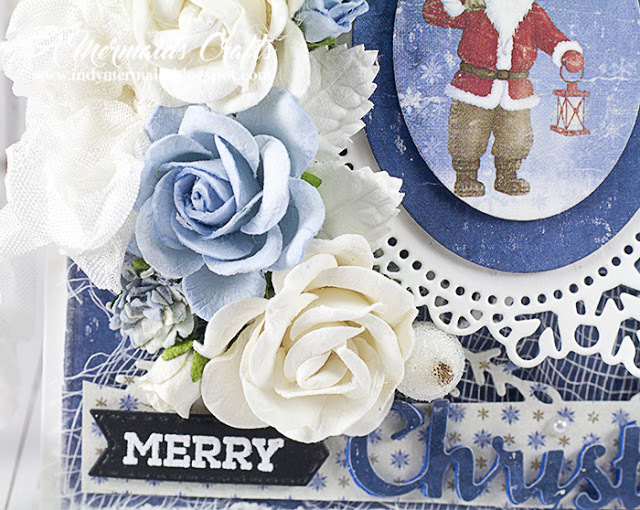 Two beautiful Christmas cards in Light Blue and Red full of layers and details. 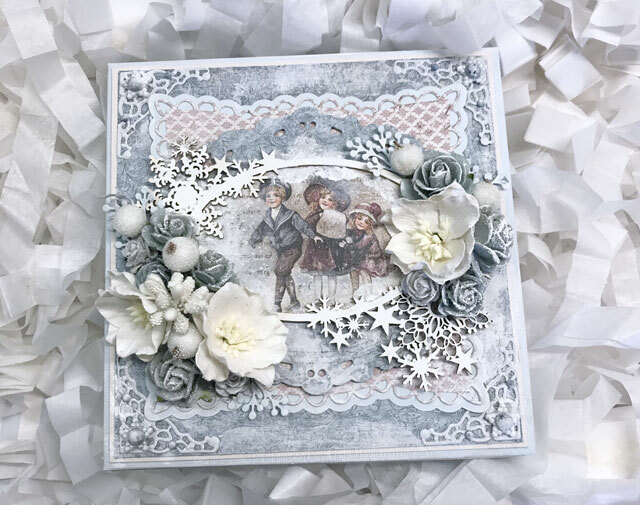 You can be inspired by the designer Evgenia Petzer and use Silver Grey Open Roses, 2-Toned Antique Blue Open Roses and White Open Roses. Add some Rhinestones, Pearls or other embellishments. Let your fantasy lead you! 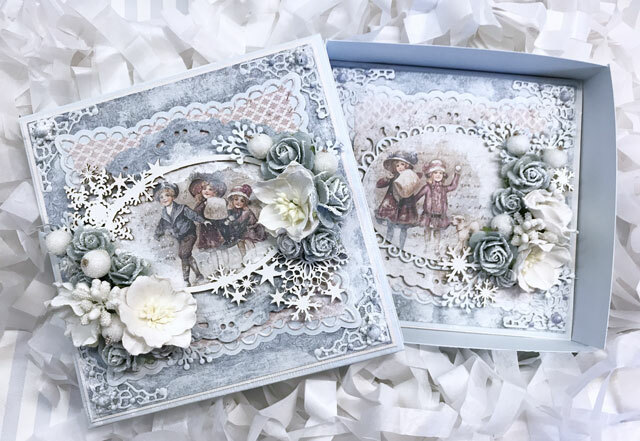 Unique vintage-styled card from the designer LillBlomman. 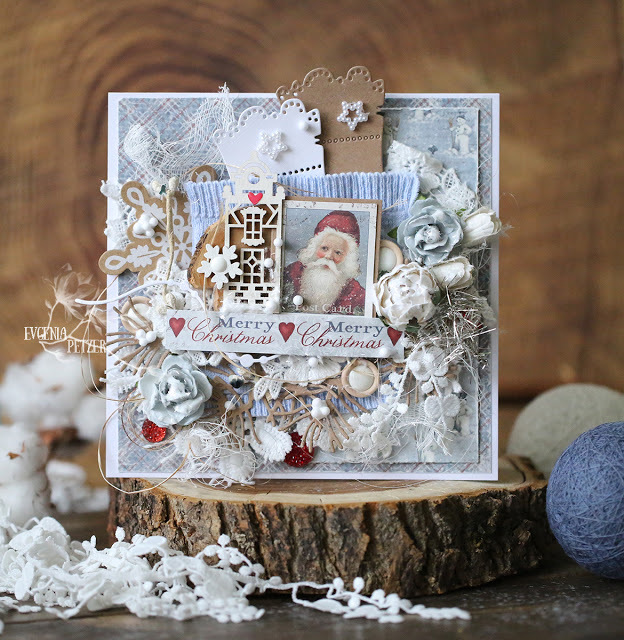 Sweet combination of dusty red, white and teal makes this card outstanding and unusual. Funny pet picture in the center kept in the same palet of colours and some sparky embellishments add another pinch of uniqueness. Both Berries and some of flowers have a nice sparkly coat of glitter. 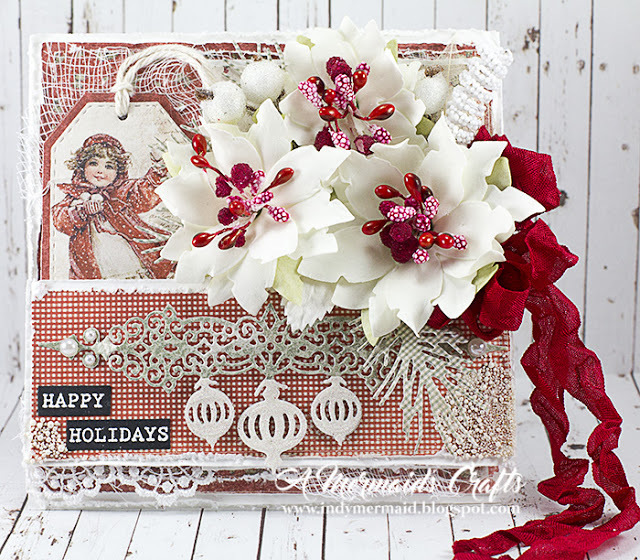 White fabric bow underlines festive style of the card. Another card from LillBlomman. Richly decorated ATC with stunning WOC flowers. 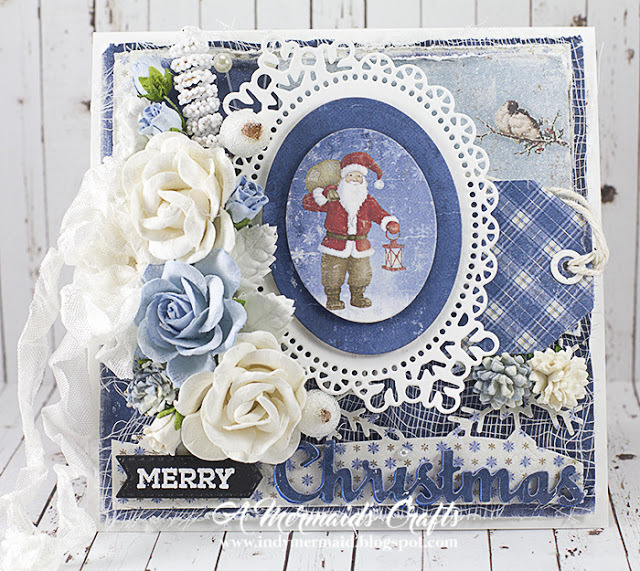 When you make ATC it´s perfect to use your scraps! 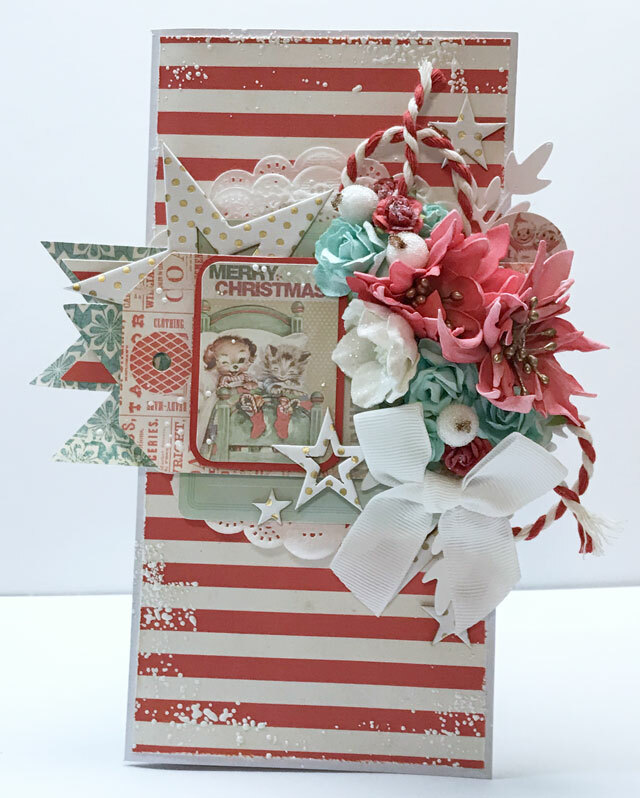 Look at lots of cute details, the Berries together with the beautiful Roses and cute mini Sweethart flowers really give the ATC an elegant and pretty look. The designer wanted the flowers to stand out a bit from all that gold so she let them be bare without any glitter this time and only added some of the golden micro beads on some of them. 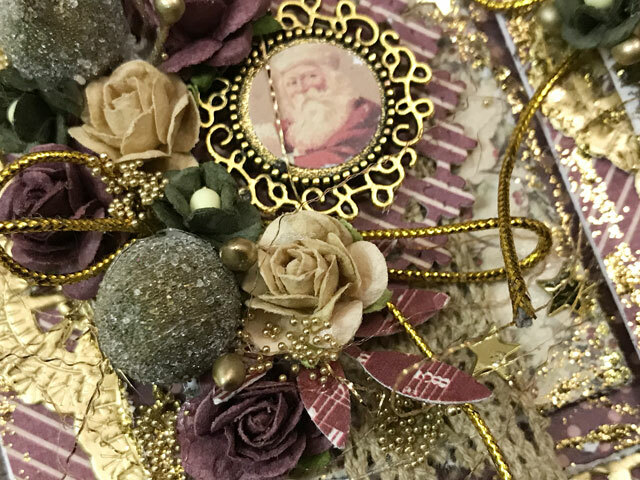 To get some interesting texture she also added some gold colored Stamens between the flowers. Two ideas from Lisa - Santa and Snowman. 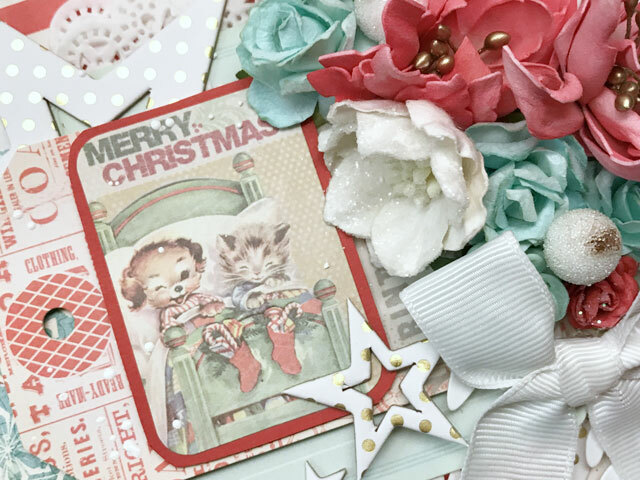 Both cards are made a little bit in vintage style. Checked background and oldschool pictures as from chidren's books add cosy look to these artworks. 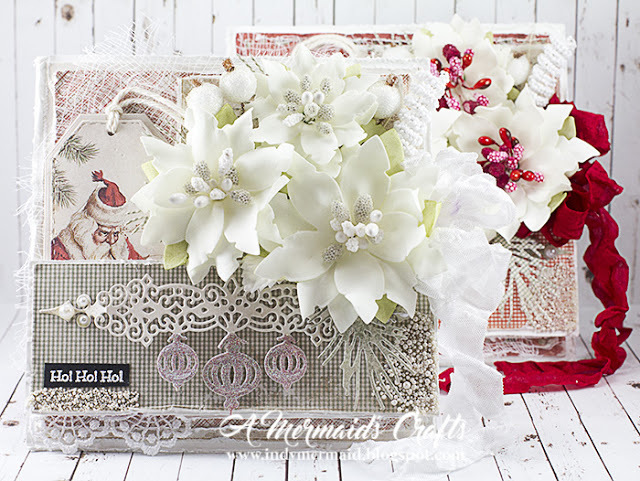 A lot of embellishments make these cards extra original and sophisticated. Lisa used beautiful WOC flowers - Chelsea Roses and Trellis Roses, as well as Hip Rosebuds and Aster Daisy Stems. 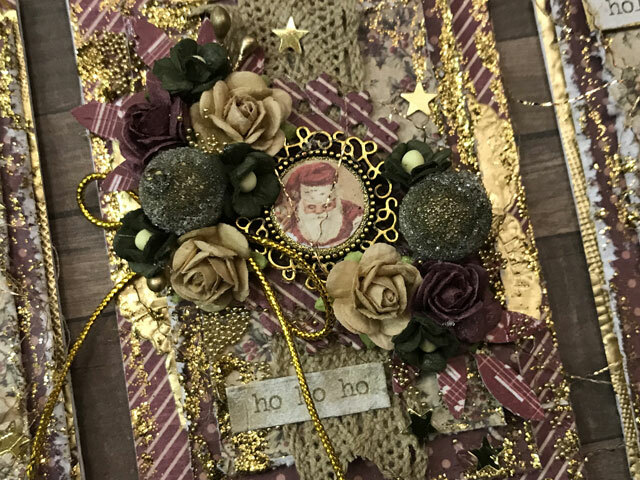 She also used Spiral Stamens, Frosted Berry Spray, Pearl Spray, Mulberry Paper Leaves, Vintage Seam Binding and Self-Adhesive Pearls. 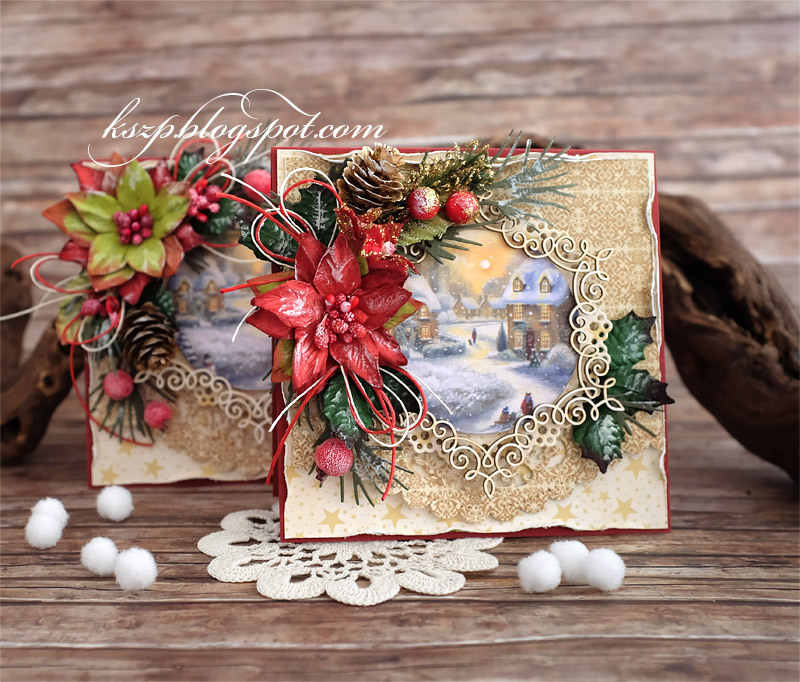 Two other cards from Lisa made in the same cosy-vintage style. This time however the flowers are handmade. 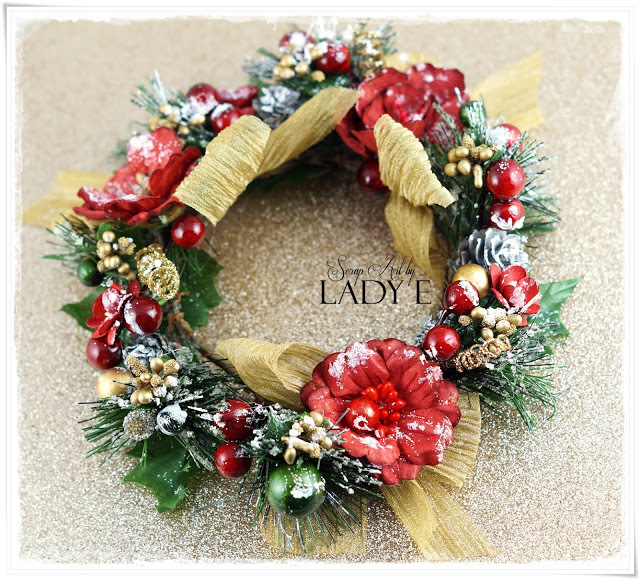 She used Ivory Flower Making Foam to create these poinsettias, inking the bottom layer to create the leaves. 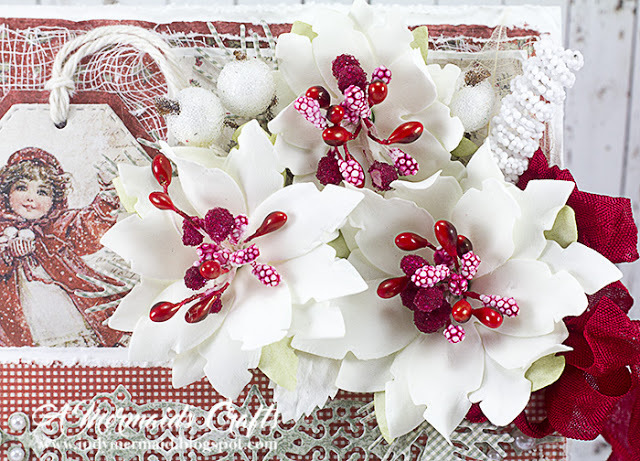 For the centers of the flowers, she used Red Bead Berry Spray Clusters and White Bead Berry Spray Clusters. Tucked among the flowers are Skeleton Leaves, White Mulberry Paper Leaves, Frosted Berry Sprays and White Spiral Stamens. I also used Self-Adhesive Pearls in two sizes. Wish something really creative? 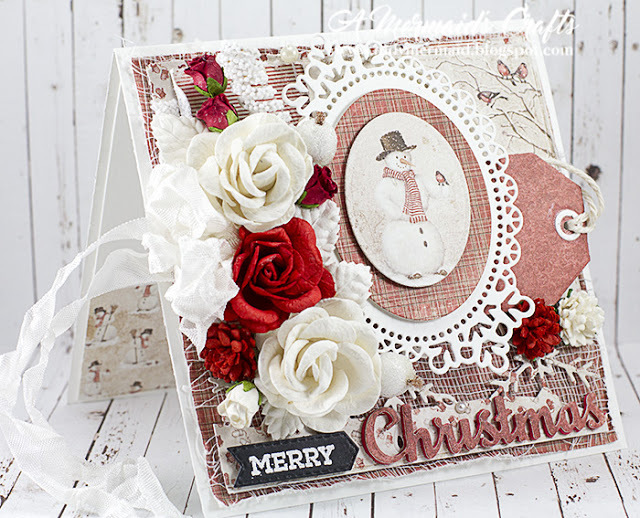 Why not to make a christmas card with a matching box? :) This idea is from LillBlomman. It´s really easy to fold your own box just make sure the box is a bit larger than your card so the card will fit in it. The lid on the box and the card inside have similar design but still slightly different. 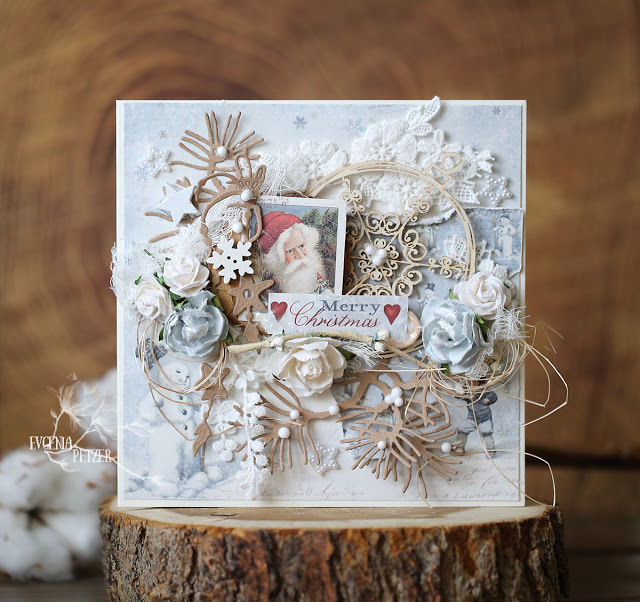 On the lid the designer framed the image with a snow themed chipboard frame. 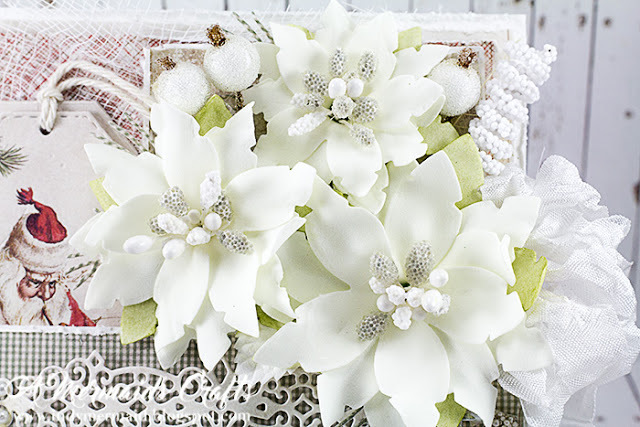 She chose white, grey and silver grey flowers for the flower cluster. 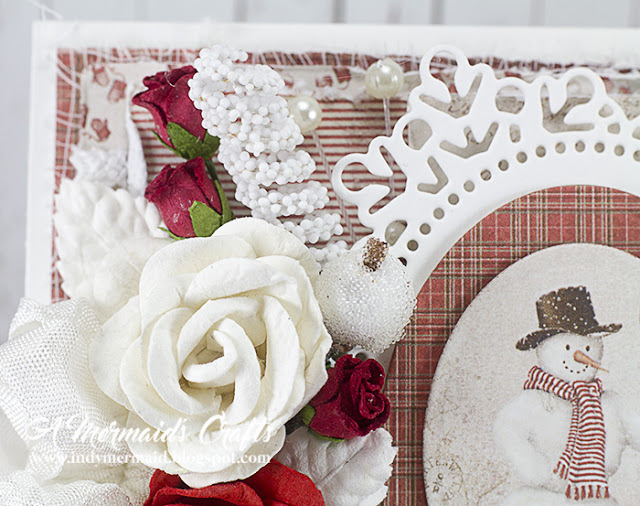 For more shapes and textures she also added white frosted berries and white bead stamens. When you open the box you find the card inside. She used the same shape for the image but framed it different. On both papers and embellishments she used Gesso for some white wash and highlights. The white Gesso added to the wintry arts almost looks like snow. The last idea for today - a festive christmas candle decoration. 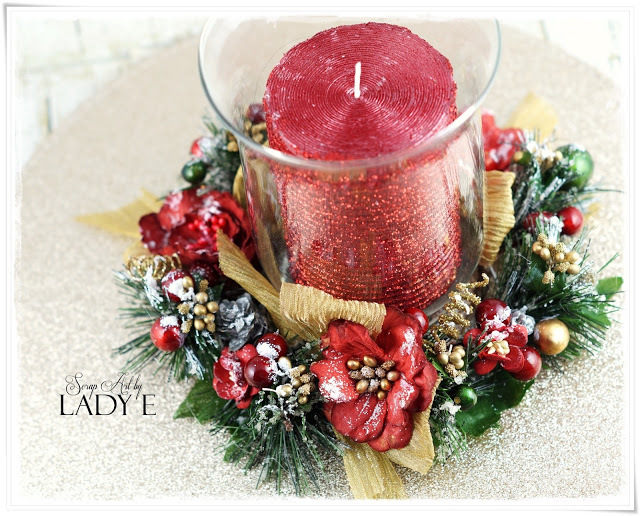 The idea and tutorial come from Lady E. Such decorated candles definitely will bring special mood to your holiday table.